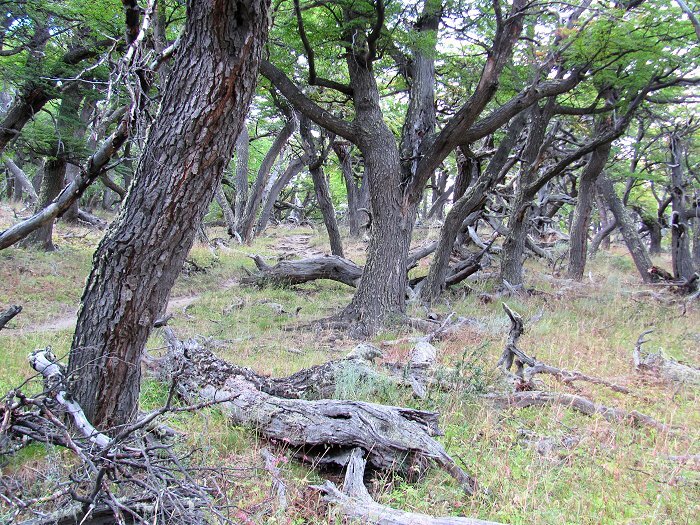 A southern beech (Nothofagus) woodland in the valley of the Rio Blanco en route to Laguna de los Tres from El Pilar. 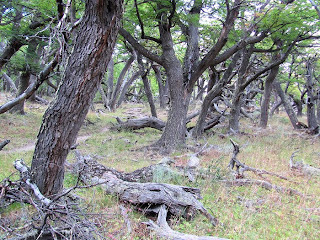 A scene, perhaps from your imaginings of Sherwood Forest or Middle Earth? 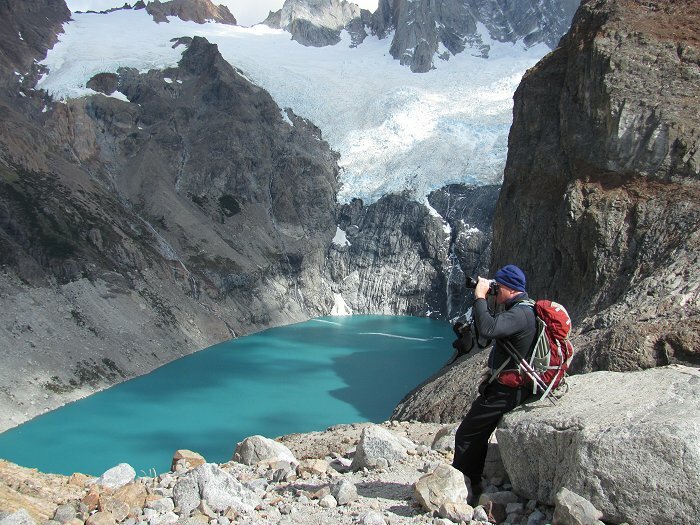 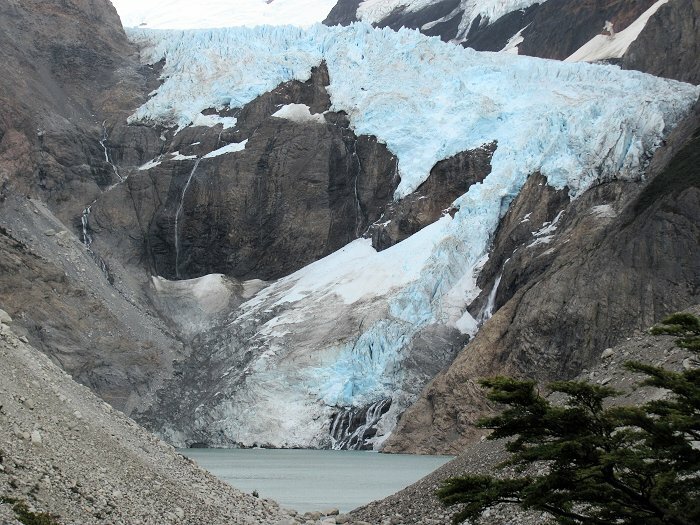 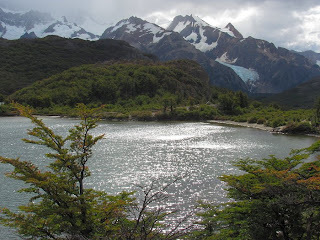 A view of the Piedras Blancas Glacier and Lake. 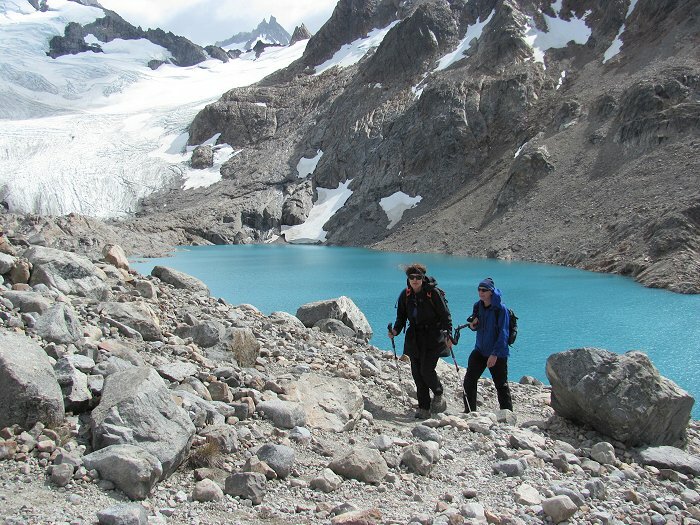 After a climb of 1,500 feet from the climber's camp at Rio Blanco, we arrive at Laguna de los Tres. Enjoying the view over the Laguna Sucia. 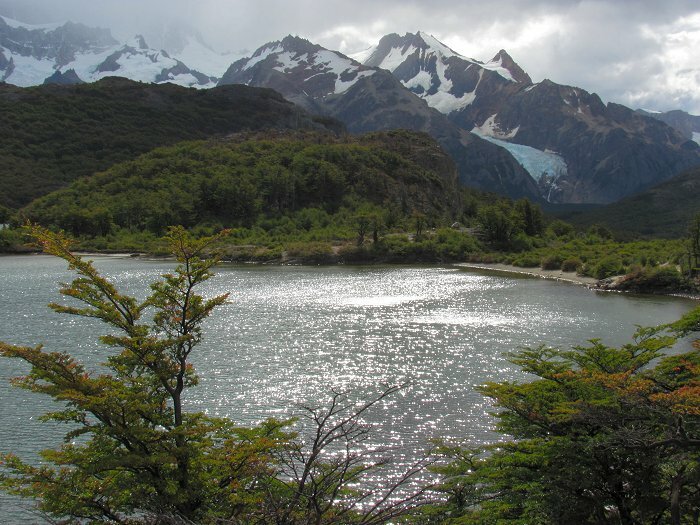 The waters of Laguna Capri looking toward Cerro Electrico. Almost back to El Chalten. 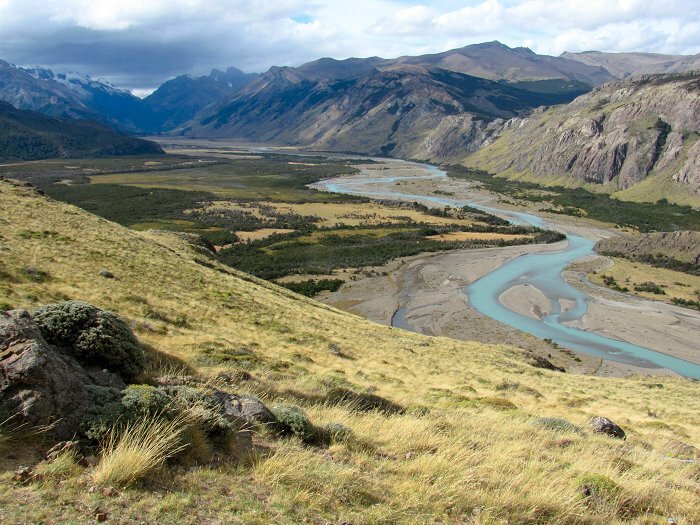 A view of the bends of the Rio de las Vueltas.